Following its launch in parts of Europe and Latin America last week, Motorola's new low-cost handset, the Moto G, has arrived on Canadian shores. The device has gone on sale today at TELUS and Koodo Mobile — on TELUS you'll get the Moto G for free on a 2-year contract, or for C$200 outright; on Koodo it's between C$200 and C$50 on the carrier's sliding "tab" payment system. 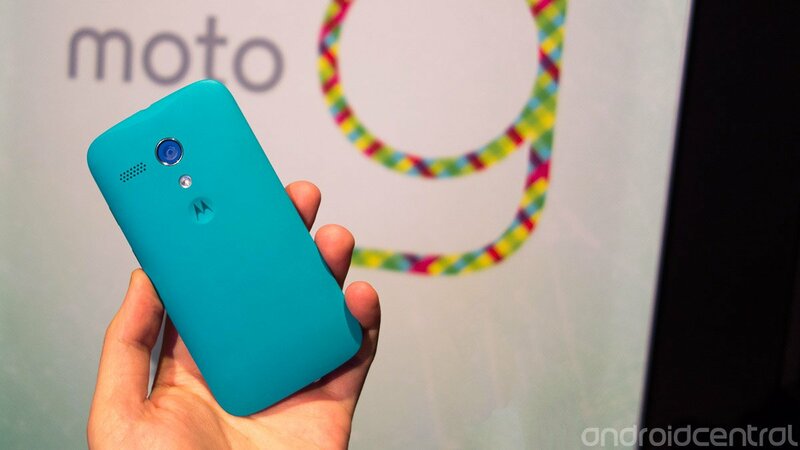 The Moto G delivers a 4.5-inch, 720p display and a quad-core Snapdragon 400 CPU, and runs near-stock Android 4.3 Jelly Bean with a handful of Motorola software additions. Stay tuned to Android Central later today for our full review of the device.